You’re a busy PharmD student with little time to spare. Luckily, the resources you’re most likely searching for are organized here in one go-to source. Here’s the info you need to keep on track with your PharmD studies. Don’t see what you’re looking for? Drop by the Office of Academic Services in the Administrative Suite for assistance. Select five professional electives during your P1-P3 years, developing an understanding of specialized segments of the pharmacy profession that interest you. Professional electives include research, clinical, and didactic courses. Refer to the fact sheet on humanities and social science electives to find out which courses satisfy your PharmD program requirements. Interested in taking humanities and social science courses outside Rutgers? You’ll need to review the policy and procedures and obtain the required authorizations. Pharmacy practice experiences provide strong professional training while allowing you to explore different practice settings, with rotations available at 1,250 partner sites. Four-week rotations begin the summer after your P1 year and advance to five-week rotations throughout your P4 year. Your Scholastic Standing is determined by evidence of satisfactory academic progression and is evaluated each semester by a faculty committee. In general, the minimum acceptable GPA is 2.800 in the preprofessional years and 2.500 in the professional years, with no grades of D or F.
The competent, ethical pharmacist exhibits not only the knowledge but also the skills, attributes, and behaviors of our profession. Review the technical standards you must demonstrate for admission, retention, progression, and graduation in the PharmD program. Grades are reported to the university registrar at the end of each semester. Click here for more information. The data sources are available to students of the Ernest Mario School of Pharmacy. The Drug and Health Information Sources is a small sampling of sources available but represents those most commonly used by students at various points in the program. You might be looking for your next big challenge—or for a little extra help. Either way, these special academic opportunities can help you make the most of your School of Pharmacy education. Our Educational Opportunity Fund program supports aspiring pharmacists from educationally and economically disadvantaged backgrounds. Contact the helpful staff of the Office for Student Development for any questions or concerns you have as an EOF student. Highly competitive pharmacy scholarships for the professional years are awarded by the School of Pharmacy to current P1–P4 students, based primarily on academic merit and financial need. Apply by May 31 for scholarships awarded each term of the upcoming year. Fascinated by research? Planning to pursue a PhD? The PharmD Honors Research Program is designed for students like you. Enter the program at any time from the spring of the PP2 year through the P2 year. Talk to a faculty member whose research you find interesting and then contact one of the program’s directors for next steps. You’re a highly motivated undergraduate interested in a research career in pharmaceutical and/or environmental sciences. The foundation for your success just might be the Summer Undergraduate Research Fellowship Program (SURF), a research training and career development opportunity for aspiring scientists. You’ve done your research, now share it with the public at Pharmacy Research Day. This annual symposium brings together PharmD, graduates, and postgraduate researchers for poster presentations showcasing the exciting work conducted at our school. Abstracts for the annual April event are submitted in March. Are you a highly focused P4 student looking for a challenging advanced pharmacy practice experience (APPE)? Check out the Knight Scholar Program, which provides a block of four diversified APPEs within a single health system. You’ve got the best of both worlds at the School of Pharmacy: a small, mission-driven community within the wider Rutgers universe. Look to your school community for specialized student life and services, targeted to the specific needs of pharmacy students. Office of Academic Services offer guidance on orientation, registration, and scheduling of classes for current preprofessional students as well as admissions and transfer policies for prospective students. Once you move into the professional years of the PharmD program, make sure you take advantage of student advising. Consult with your advisers and with faculty mentors in your area of interest to ensure that you make the right academic decisions for your personal interests and professional goals. Looking for help with an academic, personal, or professional development concern? The Office for Student Development assists students in reaching their full potential, with services ranging from academic advising and individualized counseling to small group tutoring and self improvement workshops. This office also administers the Educational Opportunity Fund for our school. 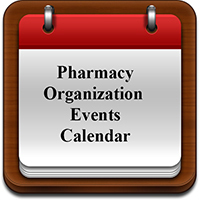 With nearly 20 student organizations just for aspiring pharmacists, you’re sure to find the right group for you. Our pharmacy student groups give you opportunities to make friends, provide community service, and shape leadership skills—all while advancing your pharmacy career. Choose among academic honor societies, professional pharmacy fraternities, student chapters of professional pharmacy associations, and more. Having the right resources right at your fingertips? It’s a beautiful thing! That’s why we gathered this easy-to-access archive of top reference materials for pharmacy students. The Student Handbook collects key information about the Ernest Mario School of Pharmacy and the PharmD program in one handy place. Use it to familiarize yourself with school policies and expectations—and make the most of your education. When are they? Where are they? Find the answers you seek in the schedule of classes and final exams for P1–P3 students. You have instant access to online drug and health information sources through Rutgers University Libraries. Among the most commonly used resources are pharmacy and medical textbooks, journals, and monographs; drug information databases; clinical calculators; patient education materials; and licensure exam study materials. As an aspiring pharmacist, you probably have many questions about licensure and certification; find the answers here on our FAQs page. Learn how our students’ pass rates on the pharmacy licensure exam compare with those of peer pharmacy schools. The other ceremony is the Ernest Mario School of Pharmacy Convocation. This will take place in the College Avenue Gym on Tuesday May 21, 2019 at 10:00am. Students need to be at the Gym at 9:00 for instructions and line up. At this ceremony all graduates will march and will be called to the stage by name to be hooded and receive their diploma. A professional photographer will be on stage and will take your picture as the Dean hands you your diploma. Where do my family and I park? Parking will be available at the College Avenue Parking Deck and the College Avenue Gym lot. Handicap parking is located in Lot 35, located across the street from the College Avenue Gym. Do I need tickets for the Ernest Mario School of Pharmacy Convocation? No, tickets or invitations are necessary to attend either ceremony. If I don’t need tickets why are there invitations available? All candidates are required to wear appropriate academic regalia. Hoods for doctoral candidates will be carried over the right arm. The tassel of the cap is worn on the right side by one who does not yet hold his or her first degree, and on the left if a degree is already held. The hood of your academic regalia should be olive green for pharmacy. When completing the order form from the bookstore, in the field labeled “Degree and Field” we recommend listing “Doctor of Pharmacy (Pharm.D. – hood color olive green)” to prevent confusion with the Ph.D. regalia which has a blue hood. Students graduating with Highest Honors, High Honors, or Honors may choose to wear a gold cord with their regalia. Students who will graduate with a cumulative GPA of 3.160 or above are encouraged to purchase cords early. Honors cords are available at the Barnes & Noble bookstore on a first-come, first-serve basis, but you need to ask for the doctorate honors cord, Members of Rho Chi Honor Society may wear a purple cord; members of PHi Lamda Sigma may wear a green cord. Rho Chi Honor Society members received their cords from the organization when they were inducted. If misplaced, contact Ms. Hayes. Phi Lambda Sigma members should contact the PLS president.